I have no idea where the time gets to. I sat down to build this post and realized that it’s been over two weeks since my last post. I haven’t been sitting around, however, as you will see from the images below. I have made some changes, too. The first change is that I bought a new camera body – a Canon 7D Mark II. To help me learn the camera, I bought a book by David Taylor. I’ve used his books before, so I was confident things would go well. Then I read the first page – “If you’ve just upgraded to an EOS 7D Mark II from one of Canon’s consumer DSLRs you may be in for a shock.” Boy howdy, was he right!! It’s a big learning curve, but the results will be worth the work. I would also like to introduce you to the PHOTORANGER! 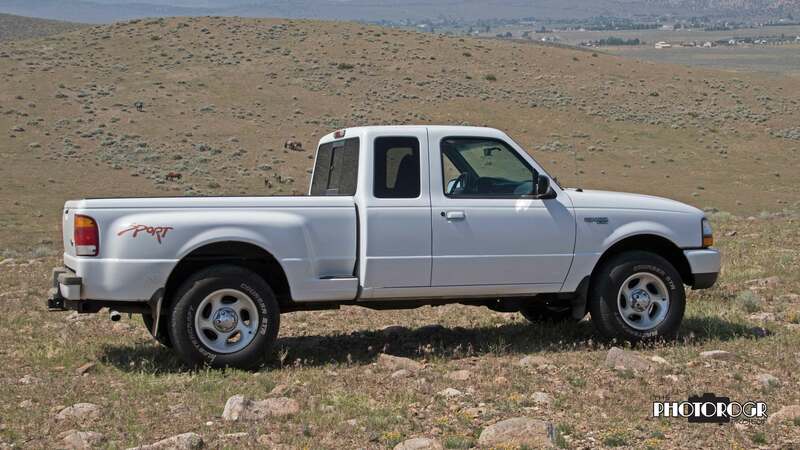 I took it into the Pine Nut Mountains to find the horses and see how it performs. It did not disappoint. I took it to a few places that I wouldn’t take the Expedition. Very fun for me!! 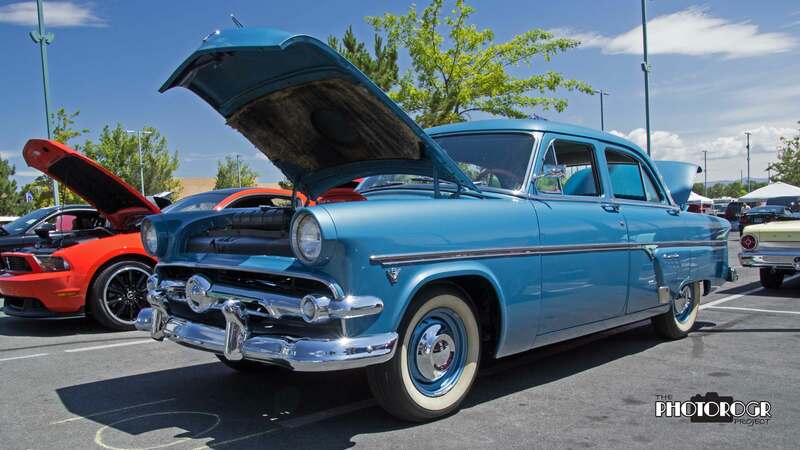 A couple weeks ago, my friend Rich and I went to the Restomods in Reno Car Show. See the Automobiles page for more images, but here’s my favorites from the day. 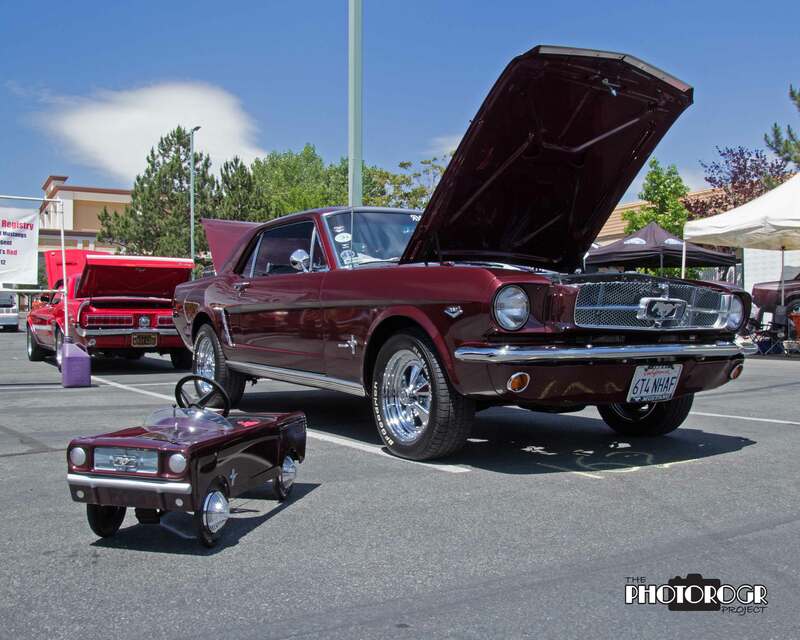 Who doesn’t love a classic Mustang with a matching pedal car? Some people just know how to live. The Reno Mustang Club president just acquired this a few weeks before the show. 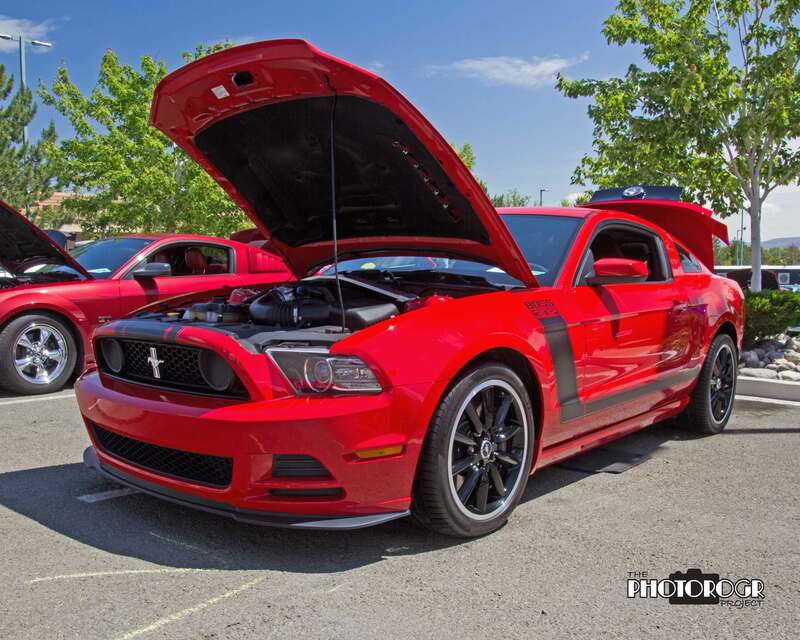 This Boss 302 belongs to a good friend of mine. He’s still working on his ’66 hardtop. 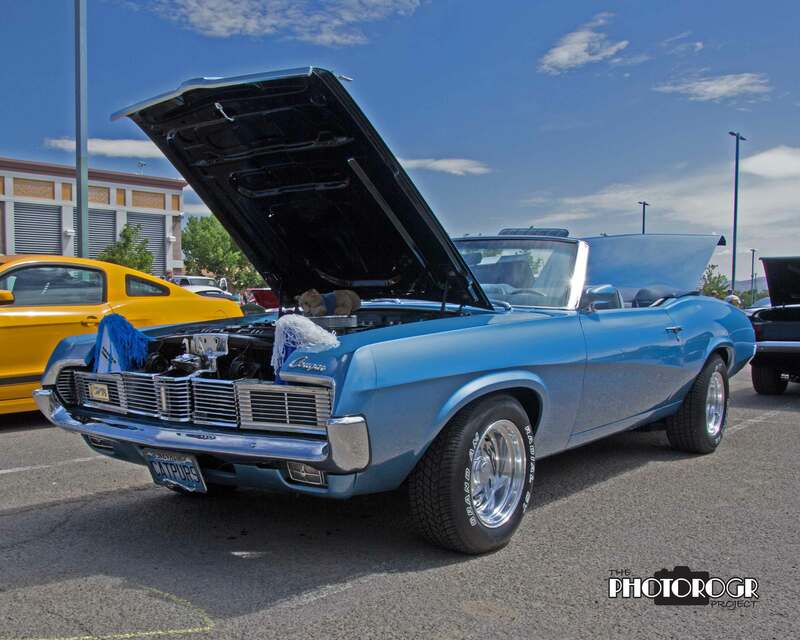 I’ve always had a soft spot for Cougars. This car was beautiful and I was pleased with this picture. Note the Parnelli Jones tribute car on the left. And I hate it when I hit the wrong button and publish too soon. My apologies to those of you who will get this again. 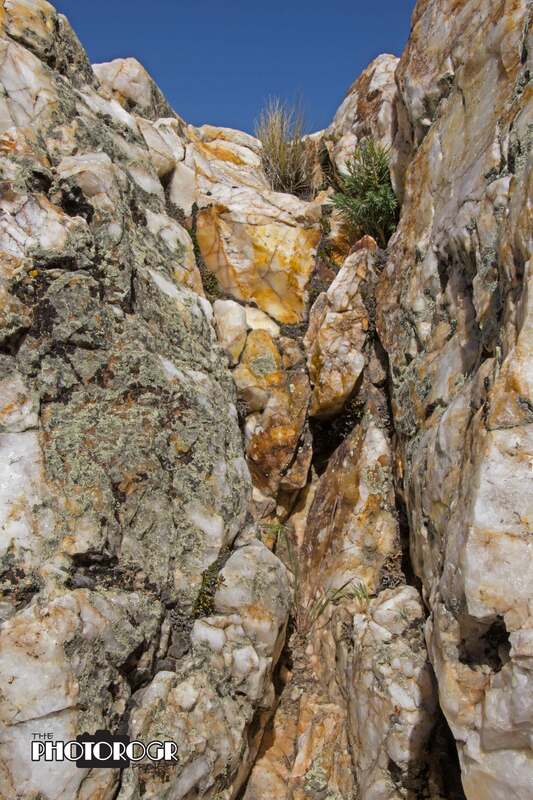 I took a ride with my ATV group to the Hoonie Mine on Quartz Peak. The scenery was gorgeous and the quartz formation was awesome. See the Landscape and Scenery page for more images. 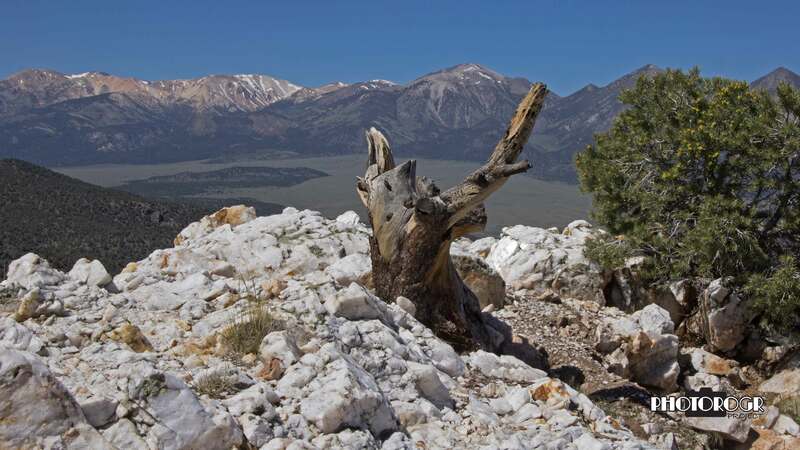 The view of the Sweetwater Range from the summit of Quartz Peak. 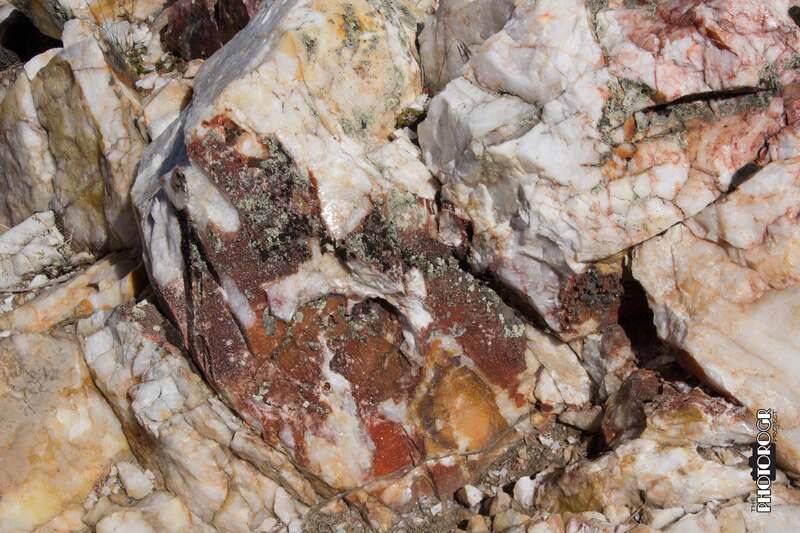 Who knew that quartz could sustain life? 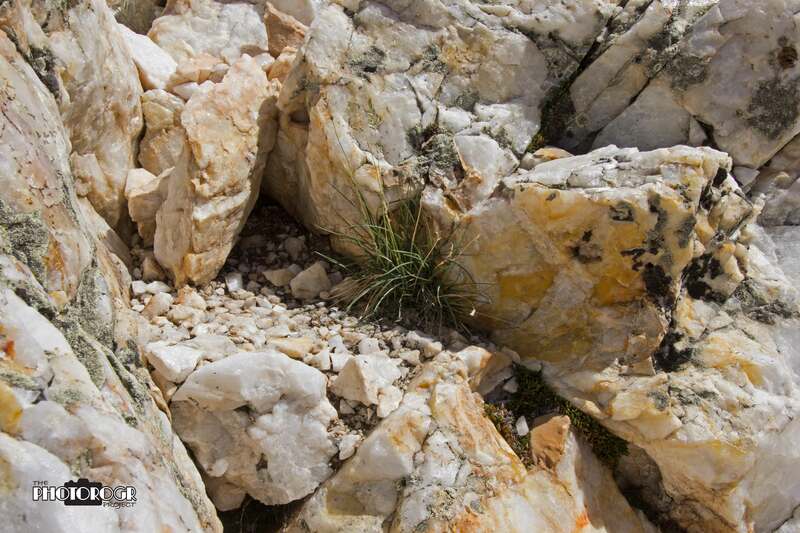 As I said, the quartz formations were great! I spent some time in the Pine Nut Mountains. 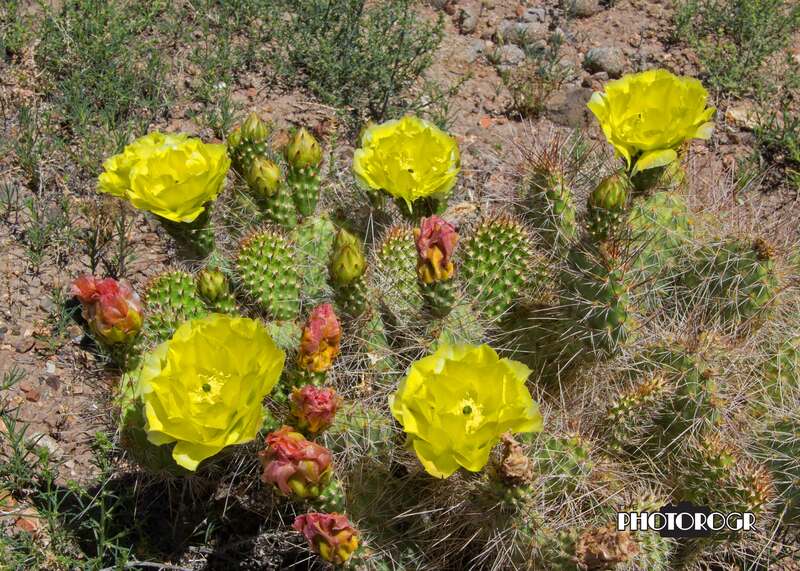 When the horses were hiding, the cactus flowers made great subjects. 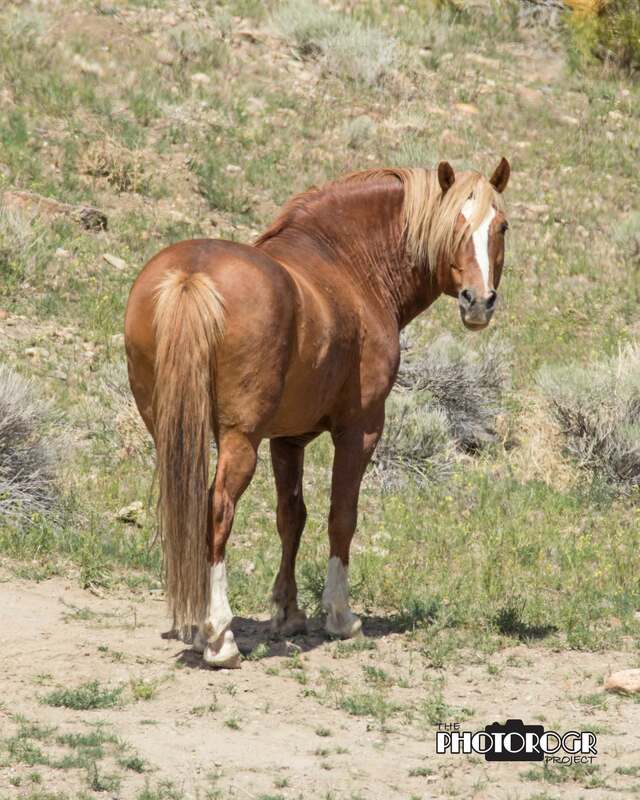 Check out the Wild Horses page for more pictures of the horses, and the Landscape and Scenery page for more cactus flowers. This is the Boys Club – Samson, Little Socks, Skip, and Jack. 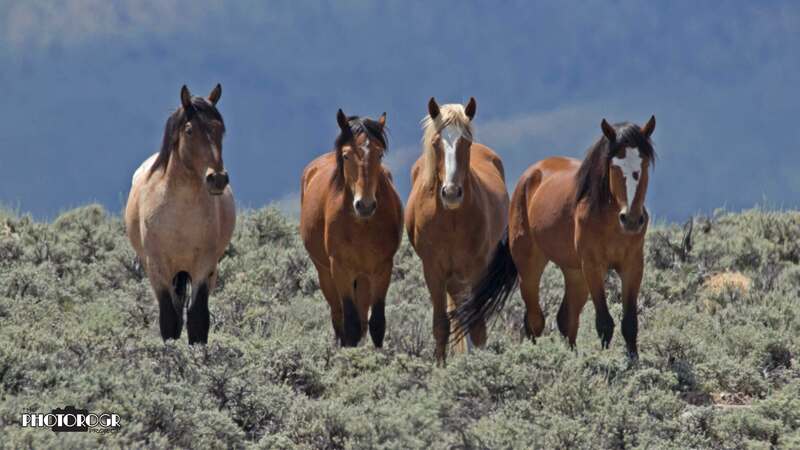 These 4 bachelor studs are hanging out together until they get their own mares and start their own bands. They were on the hill overlooking Blondie’s band and lined up for this shot. This is Blondie, not too worried about the Boys Club (who were behind me) but wanting to know what I was doing. 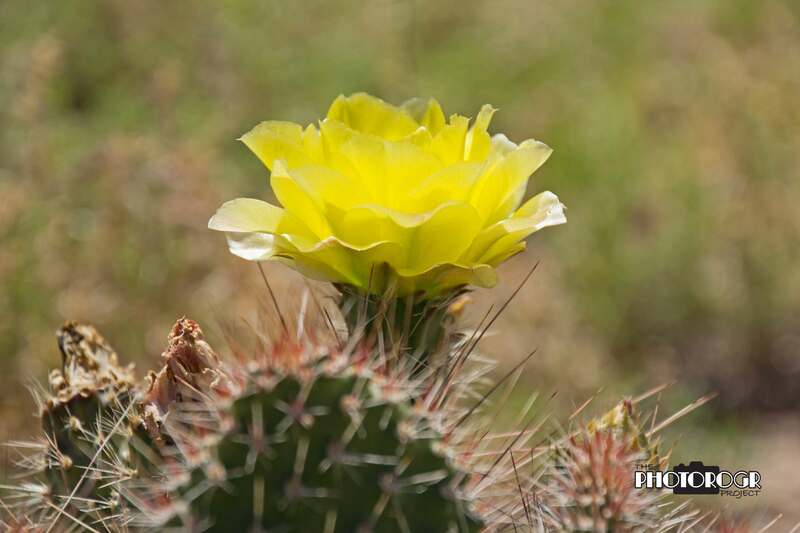 For my Wyoming friends – a cactus flower shaped like a ‘W’. I submitted this macro image to a contest – we’ll see how it fares in competition. Well, that’s it for this post. Enjoy and I’ll try to be more timely with my next post. ← All RAW — All the Time! OK Ok where are the dodges my friend…. You know me better than that…LOL! !